Implement a touch of opulence to your royal court! 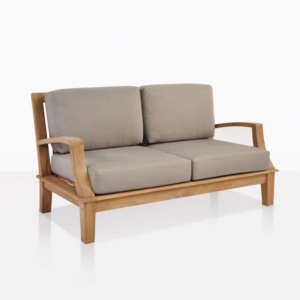 The Westminster Teak Outdoor Furniture Collection is part of the new season at Design Warehouse. 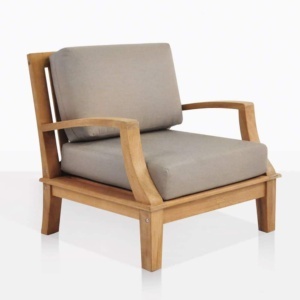 Made for easy lounging, the Westminster Collection is quintessentially English in style, with substantial pieces of Grade-A Teak wood contributing to a solid frame, and featuring an elegant curve in the arms for ultimate comfort. Each piece is ‘heavy duty,’ large pieces perfect for reclining, relaxing and rejoicing in your surroundings. The plump cushions add to the richness of the look and to the comfort of you! Imagining this set in an European style country garden is easy: majestic among the roses and gladiolus. Westminster is also brilliantly suited to a modern setting; either against contrasting concretes and tiling or on a veranda with a cool ocean breeze to transport you to a more nautical atmosphere! The Westminster Teak Outdoor Furniture Collection features 4 noble pieces: the Westminster 3-seater Sofa, Westminster 2-seater Loveseat and the Westminster Coffee Table. Have a large deck to dress? Centre your space with the Sofa and two Westminster Club Chairs on one side, mirrored by the Westminster Loveseat on the other. Your guests have somewhere to sit but where will their food and drink go? You guessed it! 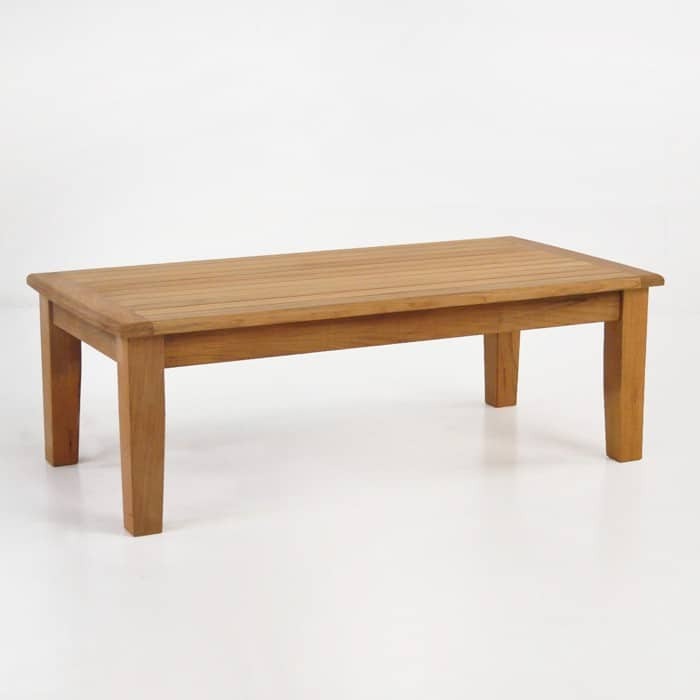 The Westminster Coffee Table will fit in the middle beautifully. 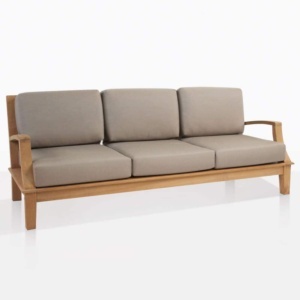 The Westminster Teak Outdoor Furniture Collection is made from high quality Grade-A Teak, with marine grade stainless steel and epoxy glues and the brilliant inclusion of comfy Sunbrella® cushions in three elegant colours: Taupe or Canvas, to help you in making the best of your outdoor space. The Westminster Teak Outdoor Furniture Collection includes FREE Sunbrella® Cushions with Quick Dry foam!